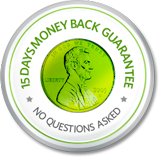 Every plan comes with a 15-day money back guarantee. No questions asked. SoGoSurvey offers the best Free package among the competition. "As far as free survey tools go, you won’t find another that delivers so much value"
Ideal for small and mid-sized organizations planning regular surveys for employees, customers, and other stakeholders. Take advantage of advanced survey design features and reports. Ideal for organizations ready to use surveys to their strategic advantage. Track trends, control branding, and keep your data safe. Plus, one-on-one training and the highest priority support. Welcome to the good life. Auto save responsesFind auto-saved answers in reports within 24 hours, even if participants abandon the survey. Thank you for your demo request. One of our survey experts will send you an invite for a demo within the next few minutes. Awesome! Let’s get you started. Follow the steps below to earn a sweet deal: a free Plus account or 75% off Pro or Premium! Follow the steps below to earn a free Plus account or 50% off Pro or Premium! Sign up for a free SoGoSurvey account. Already have an account? Sign in here. Include a link to SoGoSurvey.com by copying and pasting the following code on your academic institution’s website. Please do not modify this html code here. The license is active as long as the link is active & accessible on home page of your academic website. Follow the steps below to earn a free Plus account or 50% off Pro or Premium. Select a free trial of any account type. Already have an account? Sign in here. What is the purpose of a trial account? Each trial account offers free, short-term access to all features in its corresponding package. For example, a Trial-Premium account includes all Premium features. Trial accounts are used to help users explore all of the options available in each package. How many surveys can I create in a trial account? There are no limits on the number of surveys you can create in a trial account. Will my data be saved when I upgrade my account from trial version to paid version? Data collected in a trial account will be preserved when the account is upgraded. Can I downgrade a higher trial package to a lower paid plan? If you choose a lower paid plan, you will need to create a new account. You may copy any surveys from your trial account, but all advanced features used in the surveys will be lost. Do I need to provide credit card details when I sign up for a trial account? No credit card is required when signing up for trial versions of any paid packages. Credit card details are required only when subscribing to a SoGoSurvey paid plan. Does a trial account have any limitations? All trial accounts include all of the features and functionality of the packages they represent, providing users with hands-on experience before they make their purchasing decision. Trial accounts are limited only in quantity: launch up to 100 invitations, send 1 email reminder, and receive up to 100 responses. Following a trial, the account can be upgraded to the features and higher limits of a paid package and all surveys and data will remain intact. At the end of your trial period, you will be prompted to choose a paid package. Once you make your selection and upgrade, your account and chosen features will be fully functional with your surveys and data intact. What is the difference between a trial account and a Basic account? Each trial account offers free, short-term access to all features in the corresponding package. For example, a Trial-Premium account includes all Premium features. Trial accounts are used to help users explore all of the options available. Basic plans are free for life and include basic features only. What can I do with a free Basic plan? Our Basic plan offers hands-on experience with the platform and includes all basic features. To view an exhaustive list of features offered, click here. How many surveys can I create in a Basic account? Within a Basic account, up to 15 surveys can be created. This free account also allows up to 110 responses per survey from participants. Can I have more invitations or responses added to my Basic plan? Within the free Basic plan, set limits cannot be changed. You may take advantage of higher invitation and response limits within our paid plans. SoGoSurvey accepts payment through all major credit cards, including Visa, MasterCard, and AMEX. Payment is also accepted via wire or purchase order. Learn more about these options here. SoGoSurvey features are included within packages designed to comprehensively address the needs of different users. Features cannot be switched between or added on to packages. You may upgrade your account at any time. Downgrading is not an available option. However, users with paid accounts may choose to freeze their accounts for a minimal fee. Accounts may be frozen at various states, including limited ability to design, the ability to run reports, or “on hold” for a designated time. Am I bound to a contract after signing up with SoGoSurvey? Signing up with SoGoSurvey does not bind you to any contract. An annual plan ends at the end of the year. You may cancel your account at any time without any hidden or additional charges. SoGoSurvey users span the globe and cross industries, from small business owners to Fortune 500 executives. Check out our Customers page to learn more. Does SoGoSurvey offer any discounts to students, non-profit organizations, or academic institutions? We are committed to supporting the good work of those in education and non-profits, and we offer significant discounts for these groups. For more information, click here. What support options are available for users? Our support team is available to ensure user success 24/7. Check your package for specific details, including email, phone, and chat-based support.